Local TV channels are great for two reasons. The first is that they’re free. As long as you have a TV antenna that receives signal from the transmitters, your over-the-air (OTA) TV without any monthly subscription rates. The second great thing about local channels is that there are so many of them. Most channel assigned to an affiliate has at least one sub-channel assigned to it. Some have four or more sub-channels. This makes for a wide variety of programming options. Let’s take a look at how this works right here in the Detroit TV market where I live. Channel 2.1 is my local FOX affiliate, WJBK. It also has sub-channels 2.2, 2.3, and 2.4, which air Movies!, Buzzr, and Heroes & Icons, respectively. In total there are nine channels and 20 sub-channels in the Detroit TV market. That’s not counting any low-powered stations and channels we might pull in from Canada. The point here is that local TV markets offer a treasure trove of free programming. Type in your address then click the “continue” button. When you do, AT&T shows you which local stations you’ll get with your DIRECTV account. It only takes a few minutes to get your results and it’s a great way to know what local channels you can watch. You can conduct this search to find the local channels you’ll get wherever you travel in your recreational vehicle. Do you want the most free local TV channels? Then you should add an outdoor TV antenna made for RVs and campers. In most cases, you can mount these antennas on the roof of your motorhome. These will help you pull in TV signal from 30 miles or more, depending on your distance from the TV towers and other factors. This is the best way to enjoy the most local TV channels in your RV. The antenna is hooked up to the same TV as your DIRECTV installation, but the two are not interconnected. To watch antenna TV, you switch the input from DIRECTV to your OTA antenna. Note: while you can watch local TV, you won’t be able to record it with your DIRECTV DVR setup. To record live TV broadcasts, you’ll need to use an antenna receiver with DVR capabilities. If you want to watch OTA TV channels in your RV, there’s something you need to know. You’ll only be able to get your local channels when your RV is in your TV market. If you drive three hours or three states away, your antenna will pick up the channels that are local in those areas. This is something every RV owner needs to know, especially if they want to mount a TV antenna on their motorhome. There’s a way to find out which local TV channels are in your area. When you arrive at the RV campground or other destination, simply type “local TV stations near me” into Google. You should get a variety of websites that list all the local TV channels and sub-channels in the country. Once you choose a site, you might need to enter the zip code or your current location into a search. It’s all very easy, and many of these sites do a good job of keeping the station information updated. Enjoy! 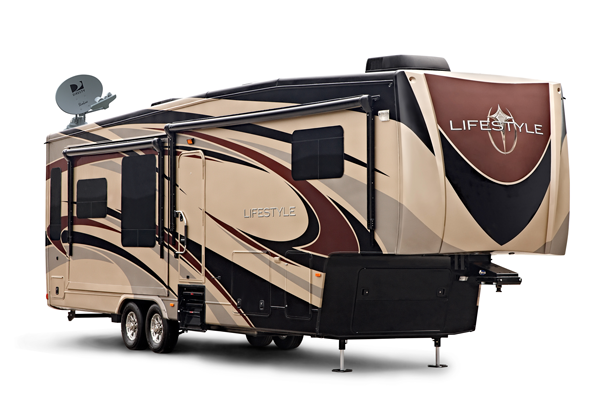 Are you an RV owner who’s interested in getting DIRECTV and/or a TV antenna for your rig? If so, we can help you. We’re an Authorized DIRECTV Dealer. Our reps can match you with the best programming package, satellite TV equipment, and account activation. Our staff are also TV antenna experts. We can recommend the best over-the-air antenna for your RV, camper, or motorhome. If you have any questions, call us at 877.312.4547. Our team is happy to help RV owners who want the best entertainment in their vehicles. Do you still need B-Band converters? You’re in luck! !